Lopez and Tyler do fine in their initial outing. But in the post-Simon era, the panelists aren’t the stars, no matter how big the names. 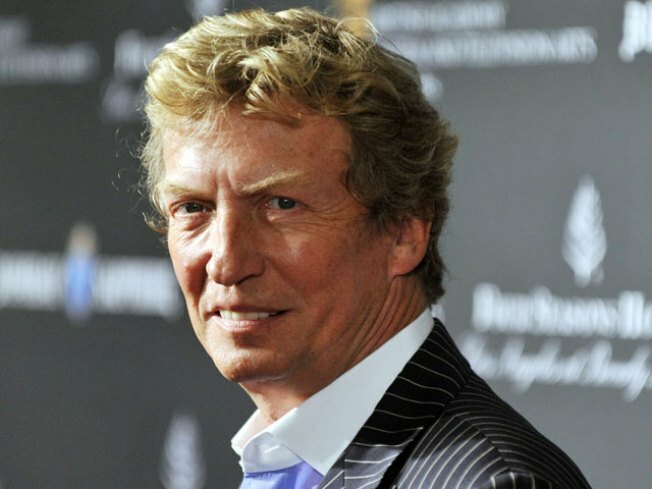 Nigel Lythgoe On "American Idol": "It's Like A Brand New Series"
The latest season of "American Idol" started much like years past: a two-hour parade of the benignly self-delusional, the borderline psychotically self-delusional and the quite possibly brilliantly talented. And then, of course, there were the judges. Wednesday night marked the long-awaited debut of Jennifer Lopez and Steven Tyler, who joined holdover Randy Jackson on the panel to kickoff the show's first Simon-free season – also the first test of whether "Idol" ever again will shine as as bright as its glory days in the limelight. Tyler, variously channeling Mick Jagger in his livelier moments (wriggle dancing in his seat, slapping the table in time and punctuating comments with "Dream On"-like wails) and Keith Richards in his loopier asides ("You've got the what-it-is-ness," he told one young woman), played the affably hazy old-school rocker uncle. Lopez, far from tough Jenny from the block, came across as a nurturing earthmom, thinking before she spoke and being careful to spare feelings ("I don't like saying no," she said, genuinely pained at the prospect). Jackson is still Jackson, dawg, speaking in a once-incomprehensible language that, after nearly a decade, we all somehow understand ("Crazy mad vocals!" he told one talented teenage boy). It marked a promising start for the new team, who seem to be ushering in a kinder, gentler era of "Idol" – a cruelty-free zone largely devoid of the kind of verbal acid sprayed by Simon Cowell. They are shaping up as soft touches – Lopez in particular – and she and Tyler found themselves apologizing to also-rans. Overall, the trio came off as a generally tension-free panel, frequently joking around and enjoying an easy camaraderie. As a refreshing a change as all that is, the new lineup's relatively low-key debut amid the long-familiar format also suggests that perhaps "Idol" has reached the stage where the judges really don't matter all that much anymore – no matter how big the names behind the table. That's a shift, but a necessary one if the show is to stage a comeback in this key 10th season and go on to thrive in the long run. Jennifer Lopez holds nothing back when discussing her new job as an "Idol" judge. What did she learn about fellow judge Steven Tyler that surprised her? Plus, what did she think about contestants who "butchered" her songs during the audition process? True, "Idol" remained TV's No. 1 show last season, if only by default. Too many people may have been tuning in to see Cowell snipe his way through a final season or watch Ellen DeGeneres, normally a TV natural, flounder out of her home pond. Without a strong talent pool (Lee DeWyze barely would have made the Top 12 in years past), the show muddled its way through its most disappointing season. But the producers appear smart enough to realize that ultimately the contestants matter more than the judges. A bunch of planned changes – including more musical mentoring for the finalists – are aimed at shoring up the franchise. "I want them to be great," Lopez said. "I want them to be a superstar." "This is the big time – for us and for them (the contestants)," Tyler said, aptly summing up the season opener. Steven Tyler talks about taking on the challenge of being an "Idol" judge. What does he think he'll bring to the show? Plus, did he really decide to join "Idol" after seeing J.Lo in "The Back-up Plan"? We just might be headed for a new era for "Idol" in which the judges are interchangeable, but the contestants aren't.